Due July 15 on CD, digital and vinyl, the guitarist produced his first record in six years with Filippo Cimatti. 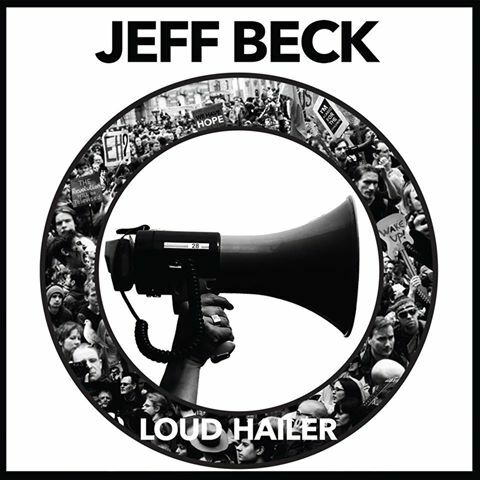 Beck says Loud Hailer – another name for a megaphone – is the right title for his latest studio recording. The set sees Beck teamed with singer Rosie Bones, guitarist Carmen Vandenberg, bassist Giovanni Pallotti and drummer Davide Sollazzi. The album’s first single, “Live In The Dark”, will be issued soon. Beck will launch a series of summer US dates at The Capitol Theatre in Port Chester, NY on July 19.